There are several different types of printer ink cartridges. Most printer manufacturers make their own ink cartridges custom-made to fit the various models they manufacture. Therefore Canon cartridges will be different from HP Deskjet cartridges, even though the essential function is the same. Printer ink cartridges are basically replaceable sealed units that contain the specially processed ink a printer uses during its functioning. The cartridges typically contain one or more partitioned ink reservoirs. There are basically two core designs as far as cartridges are concerned: the thermal and the piezoelectric. Most printers meant for home or business (such as the LaserJet M1212nf) use thermal inkjet cartridges. The ink reservoirs of these cartridges contain a heating element equipped with a tiny metal plate or resistor in each of their partitions. It is important to remember that the ink in thermal inkjet printers perform a dual role by also acting as a coolant to heating elements. This makes it all the more essential that the cartridge is refilled or replaced as soon as the ink supply is depleted, so the print head isn’t damaged. It becomes essential that users know exactly what type of ink cartridge to purchase for their printer. 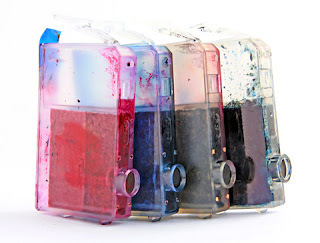 There are three main kinds of ink refill packs available on the market. The first is the Original Equipment Manufacturer (OEM) cartridges, made of company-produced refills for each printer model. They are the oldest type of refills available and the most expensive, though the quality can be high. The second type is compatible cartridges. They are manufactured by third-party companies and do not carry the original brand names. They cost only a fraction of the price of the OEMs. Last, there are remanufactured (or refurbished) cartridges, consisting of OEM or compatible cartridges which have been recharged after use. Priced midway between the other two choices, refurbished cartridges are very popular among environmentally conscious users. In conclusion, customers need to take care when choosing printer ink cartridges as they can end up buying one that is not compatible with their particular model. 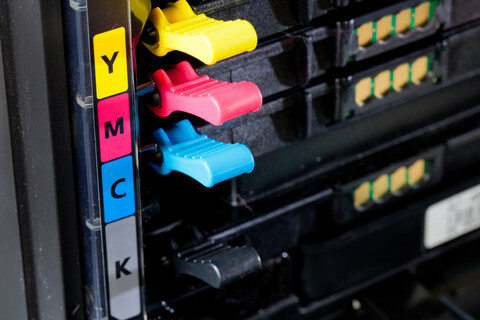 An HP Printer, for example, will use laser toner cartridges such as the CE285A or the HP 85A, but one meant for a similar model from another company may fail to take. It always pays to research your own technology! What kind of ink do you find works best with your printer? Any stories of experimenting with different kinds of ink? Tell us in the comments! This is great information. I have a home office and I use Micro Solutions Enterprises because I appreciate their green initiative, as I try to practice a sustainable lifestyle. I haven't experimented much with my ink. I have to create a lot of printed material for my business, so once I found ink that provided the quality I needed, I stuck with it. Great post, I've been gathering enough information regarding OEM and alternative printer cartridges and this post gives a handful of ideas. My blog as well at thetonerexpert also features some contents related to this kind of topic. Reading facts and consumer responses based on their experienced with the product helps me a lot. There is obviously a lot to know about this. I think you made some good points in Features also.It is really informative article. For buying a good printer you should considered some point and i think above post helps you for this. Canon ink cartridges are really tested. I have a canon printer and i know that it will last. I can sense that this article was knowledgably written. Really useful information before buying cartridges. I should be keener the next time and use these points.